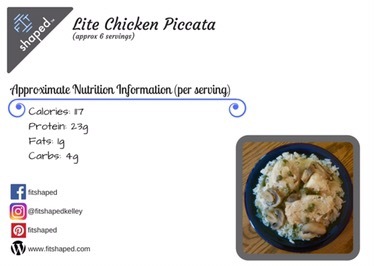 If you’re looking for a faster, easier, lower calorie substitute for Chicken Piccata, look no further. 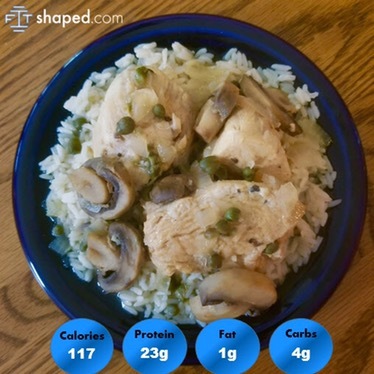 This simple set-it-and-forget-it dish has that lovely chicken piccata flavor without the added fats and carbs from butter and flour. While it’s light in calories, it still gives you that warm, cozy feeling you get from the original. 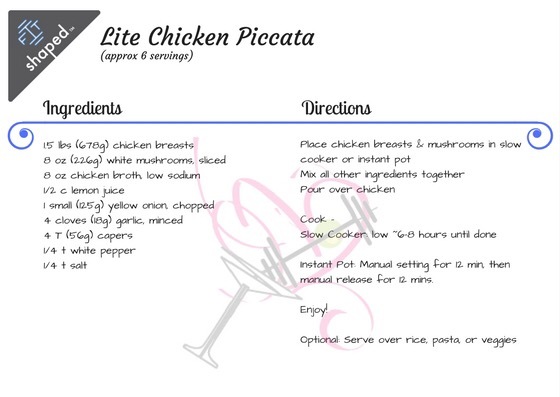 And you can add some variety to the meal with the extra calories that you are saving! Instant Pot: Manual setting for 12 min, then manual release for 12 mins.